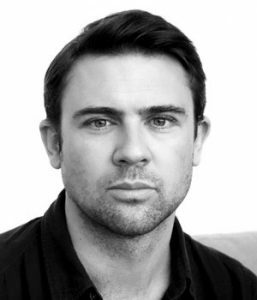 Owen Sheers is a Welsh author, poet and playwright, and is Professor of Creativity at Swansea University. ‘I Saw a Man’ is his third novel, following his debut ‘Resistance’, which he also adapted into a feature film, and his novella ‘White Ravens’. He has also published several volumes of poetry. A sensitive and moving character-driven novel of great emotional depth, ‘I Saw a Man’ follows the story of Michael Turner, who, after the loss of his wife, moves to London and develops a close bond with the Nelson family next door. Josh, Samantha and their two young children seem to represent everything Michael fears he may now never have: intimacy, children, stability and a family home. But something that begins as a casual friendship changes dramatically and leads to tragic consequences. This interestingly constructed novel spans continents, from London and Wales to New York and the Nevada deserts. Drawn from the start into the characters’ disturbing secrets and lies, the reader is kept guessing on many levels about them and what drives them, until the big reveal. Owen Sheers has written a gripping and classy moral thriller, but much more than that too. It is beautifully written and a great read.